Crescent City, Calif. – With the days slowly getting shorter and colder, no one wants to be without a winter coat. 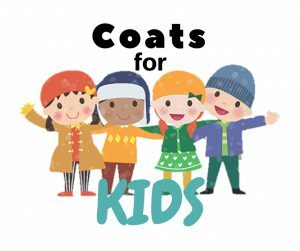 That’s why Sutter Coast Hospital has partnered with Bicoastal Media to support the annual Coats for Kids drive, supplying children in Del Norte and Curry counties with coats this year. Crescent City – Sutter Coast Hospital is stepping up to the plate at this year’s annual Del Norte Community Thanksgiving dinner on Nov. 23 in partnership with Crescent City Foursquare Church. The Del Norte Community Thanksgiving dinner has been a tradition in Crescent City for more than 25 years and it almost didn’t happen in 2016 until Sutter Coast Hospital and other community organizations rallied together after the original organizers were unable to host. This year, Sutter Coast Hospital is again making it possible for families to celebrate Thanksgiving as a community through a partnership with the Crescent City Foursquare Church. Crescent City – Sutter Coast Hospital is excited to sponsor an annual Halloween Blood Drive in partnership with the Northern California Community Blood Bank and local radio station, KCRE. During October, thoughts drift to candy, costumes and carving pumpkins. But for many patients at area hospitals, the only treat that’s sure to please is a blood donation. According to the blood bank, the entire blood donation process (screening, healthiness test and the donation) takes roughly 45 minutes to an hour and is relatively pain free. Give a real treat to others this Halloween by donating blood. Healthy individuals who feel well and have not donated in the past eight weeks days are encouraged to attend. Please remember to bring a photo ID to donate. To schedule an appointment for the Halloween Blood Drive, call 707-464-8900. Crescent City – At Sutter Coast Hospital, we are committed to providing a consistent, high quality patient experience and is forming a council to involve the community and receive feedback about the experiences of our patients and their families at the hospital. BROOKINGS, Ore. – Sutter Health today announced a $25,000 donation to the Southwest Oregon Chapter of the American Red Cross to support disaster relief efforts for those impacted by the Chetco Bar Fire near Brookings. Rose Corcoran, chief nurse executive at Sutter Coast Hospital and Tarik Rawlings from the Red Cross. Sutter Coast Hospital is committed to its mission to better the health of the community, through strong regional partnerships and investing in local youth. For six scholarship recipients, that means financial assistance to help them purse an education for a career in the healthcare industry. Divina Sanderson is attending the College of the Redwoods. Nancy Xiong is attending Fresno State University. Joela Gregorio is attending Portland Community College. Elizabeth Landeros-Diaz is attending California State University, Sacramento. Tayla Chapa is attending Brigham Young University.